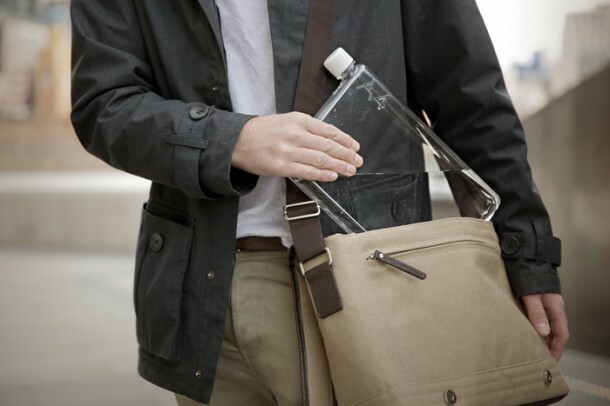 Memobottle is a reusable water bottle that is slim and capable of sliding into your bag where it will lay next to laptops and books easily. It is the flat version of a bottle and can be washed in a dishwasher as well. The idea was to reduce the number of plastic bottles that end up in landfills eventually. The designers came up with this design in order to impart practicability and environmental friendly characteristics to the bottle. The bottle has been created from ‘green’ plastic. All three Memobottles are 30 mm thick and have been created so that they are as robust and durable as possible. The designers are from Monington Peninsula near Melbourne and state that almost 600 billion single-use bottles were sold globally last year. It has been concluded from research that 1,500 single use bottles are consumed every second in America and 20% of these – yes only 20% – get recycled. The cost of purchasing bottled water is 1,400 times greater than the tap water. 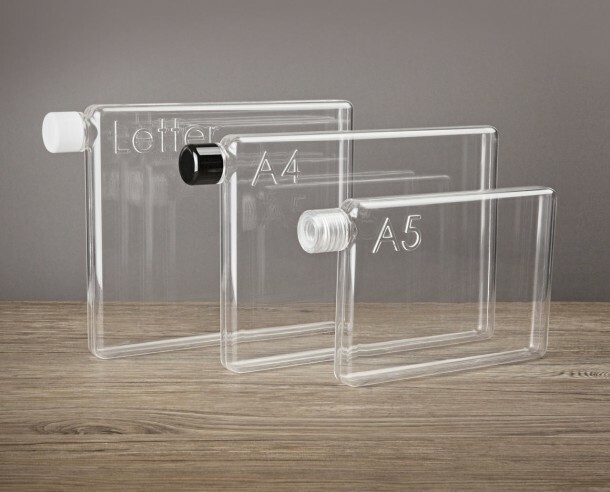 The bottle will be available in 3 sizes; A5 that will hold 750 ml, A4 whose capacity will be 1.25 liters and letter size that will also store 1.25 liters. Fundraising is being carried out on Kickstarter where it has achieved its primary goal of $13,500 within 36 hours of the campaign starting. Related ItemsgearInnovative Flat Water Bottle!